This Friday, at the world premiere screening of my USC MVA (Masters of Arts in Visual Anthropology) cohorts' thesis films, Ghost Tape #10 will be shared with its first audience. Its screening will mark the one year anniversary of my first midnight in Vietnam, its cloak of night shrouding the miles I had left before me, miles before I could fully grasp what story I was trying to tell. The humidity was so intense that summer, the combined heat and moisture had eroded the black fabric coating my headphone's earmuffs, leaving its flakes clinging to my neck like pieces of dead skin. Each time I fished them out of my backpack to record an interview, there was less of it left, and each time, I felt like a fool. It seemed, for a time while I was there, that everything was slowly falling apart. Deaf and dumb to the language that surrounded me, my exhaustion found new ways to undermine my assuredness, always keeping me off-balance. Thankfully, I was blessed with a remarkable group of guides, artists and craftspeople who helped me find my way, some of whom will be joining me in my school's darkened theatre on Friday. Under the mentorship of my professors who challenged me to take the right road instead of the easy one, I look back on a year and a filmmaking journey that still feels impossible. But then again, most dreams are. Created by the U.S. Army during the Vietnam War, "Ghost Tape #10" was one of many tapes engineered as part of "Operation: Wandering Soul," a psychological operations campaign designed to intimidate and demoralize the North Vietnamese Army. These audio tapes would echo throughout war zones, their soundtracks consisting of actors portraying grieving family members, or voices from the dead, longing to be reunited with their loved ones. Exploiting the traditional Buddhist belief that, if denied a proper burial in their homeland, the dead wander the world aimlessly, these recordings were originally conceived of as attempts to weaponize an opposing culture's religious beliefs against them. Ghost Tape #10, the film, focuses on unearthing and re-examining this weaponization of belief through the context of modern day Vietnamese and Vietnamese-American religious practice. Through dreamlike visualizations and interviews in Vietnam and Los Angeles, reactions to this obscure piece of American propaganda lead to larger discussions about how modern day relationships between the living and the dead are carried out, and what truths, if any, still echo within this recording. 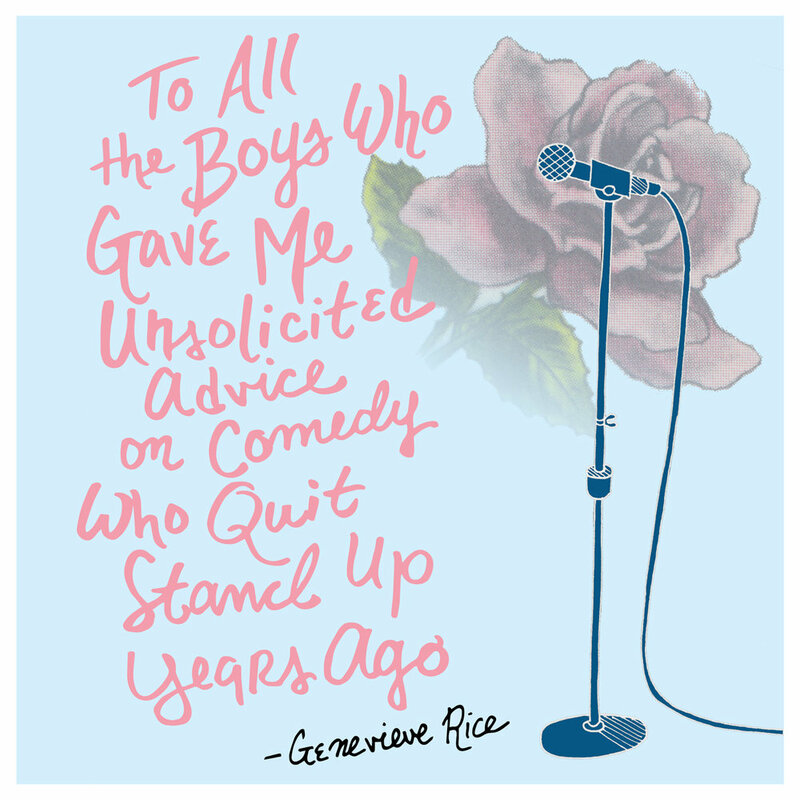 In equal measure, I both admire and fear the exacting, withering wit of comedian Genevieve Rice. Thus, my first in a series of stand up "trading cards," to celebrate both hers, and the voices of other comedians I admire. Ghost Tape #10, Directed by Sean David Christensen. Figurine designed & sculpted by Jedadiah Cracco. After clearing its final sound mix at Chapman University last week, I'm excited to begin sharing more images and sounds from my upcoming film, Ghost Tape #10, with you all. 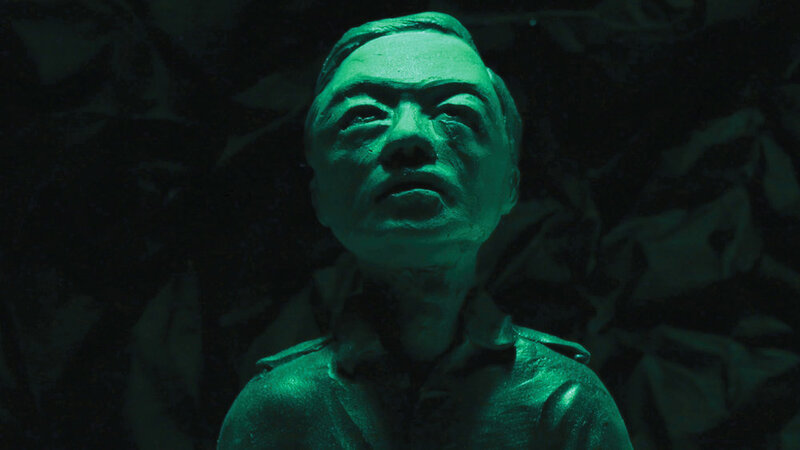 A visualization of the effects of audio propaganda during the Vietnam War, this figurine of a North Vietnamese solider (designed & sculpted by Jedadiah Cracco), represents one of the central conceits of the film: unearthing the past. Through dreamlike visuals, I hope the film can explore this connection between the living & the dead that I experienced in Northern Vietnam, and what stories still lie underground, waiting to be pulled up into the light. Taco (2018); Construction paper, acrylic paint, fish tank gravel. I'd like to develop the habit of drawing or creating something quick immediately after waking up and having my morning tea. 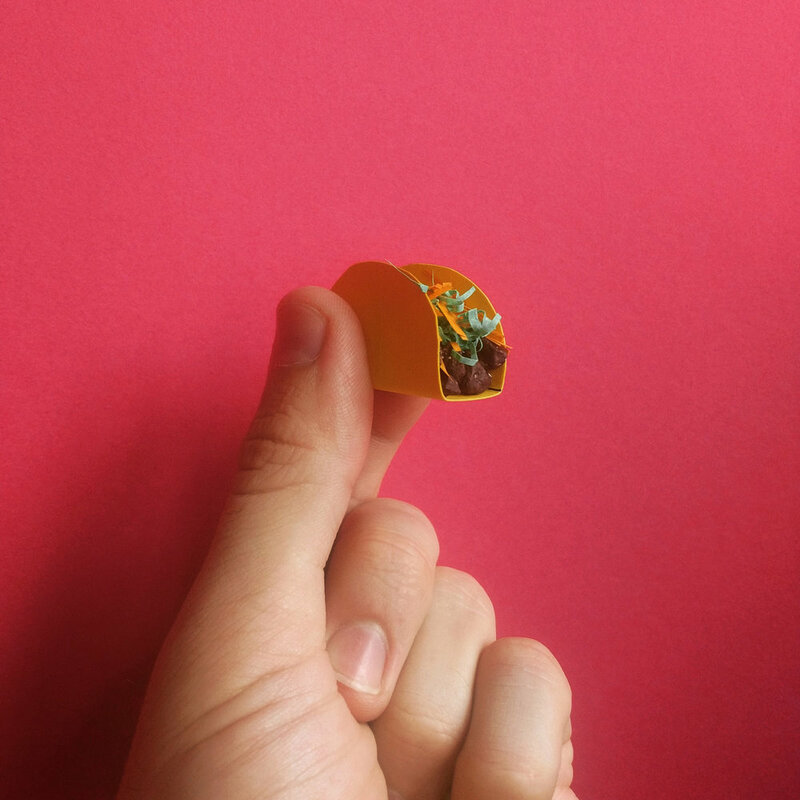 Today (Tuesday) was my first attempt at this: a tiny paper taco. I crafted this tasty snack, all the while completely forgetting about my cup of Earl Gray, which was cold to the touch when I went to pick it up soon after. A small price to pay for getting lost in one's work. It was a joy to help out my good friend David Luraschi film his music video for "Penny Girl," the debut single from Cola Boyy's debut EP, Black Boogie Neon. I spent a whirlwind weekend driving around Oxnard helping gather bits and pieces of sunshine that Luraschi spun into gold. As Matthew (Cola Boyy) himself said best: "This is not just my world, but a part of me that's so vulnerable. All my differences are on the table, and my song plays in the background. Oxnard has so many bright colors and faces, it shows in the video. Isn't it nice?" More than just nice, it was truly inspiring to see his community come together to support this gifted young man and our heartfelt romp through their neighborhood. I can't wait to see what funky magic Matthew conjures for us next, as well as myself, his newest fan. Miniature recording studio, circa 1965. 1/12th scale; Crescent watercolor board, balsa craft wood, sketch paper, Folia art paper, foam-board, cardboard & craft metal piping. 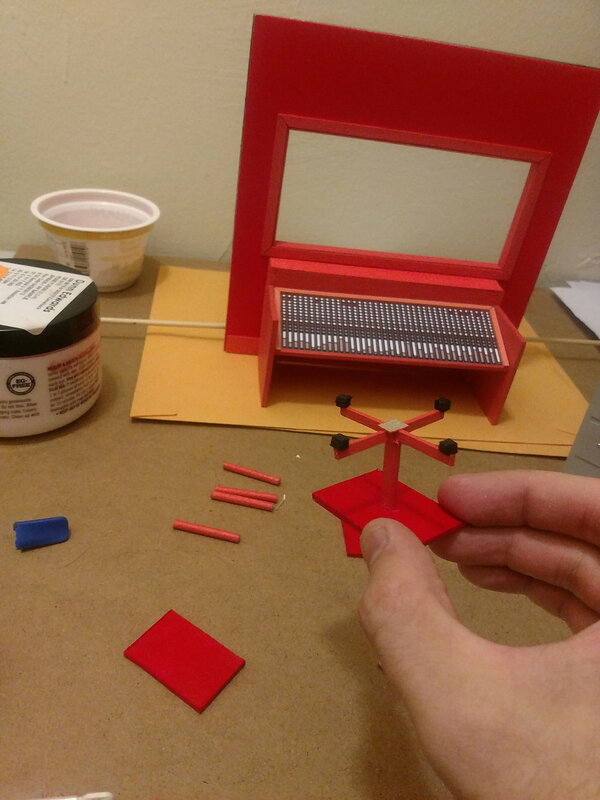 What a joy to create this bright new color combination for my latest miniature, a recording studio from the mid-1960s. Partly historical, partly fantastical, this set was designed for my latest film, a documentary which utilizes archival recordings from the same era. I've always gravitated towards bending the rules of visually representing the past, and hope all of these pieces I've gathered come together as neatly as craft wood; Albeit, with some of their most endearing human imperfections imprinted upon the final product. I had the good fortune to catch AmirSaysNothing at a concert showcase organized by the prolific Charlie Scovill, held at the Bootleg Theatre in Los Angeles earlier last month. Amir's blistering set featured selections from his most recent collaboration with Scovill, Love Always, Mr. Right, which promptly made me an instant fan; Hence, this fan art. For more music from this electric pair and many more artists produced under Scovill's unique vision, please visit www.charliescovill.com to catch just a glimpse of this wunderkind's prodigious output. 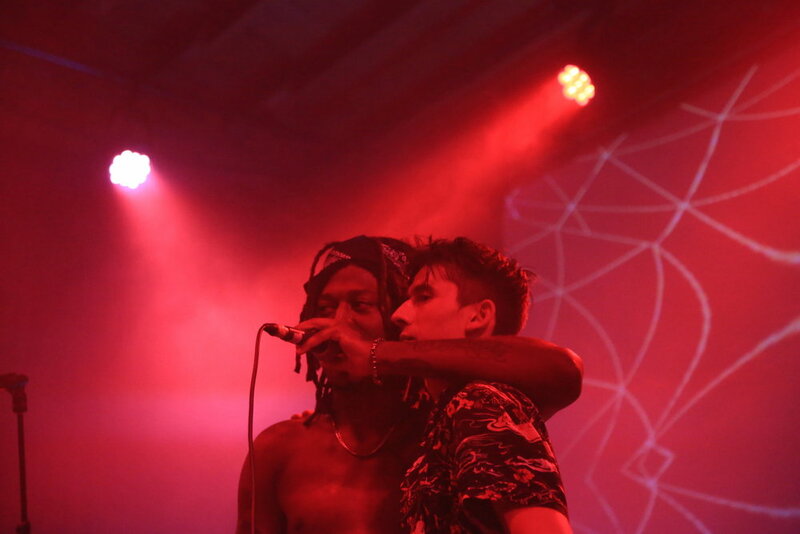 AmirSaysNothing performs with producer Charlie Scovill at the Bootleg Theatre in Los Angeles; June 10th, 2018. AmirSaysNothing closes out a rollicking evening of music organized & produced Charlie Scovill. Unedited block of hand lettered text, to be converted into credits for my latest film. One of my all-time favorite movie openings that elegantly incorporates hand lettered cinematic titles belongs to Jonathan Demme's Philadelphia. Masterfully pairing the film's theme (performed by Bruce Springsteen) with warm, cursive script, this sequence beautifully captures the shifting harmonies and subtle cruelties of an American city, one which claims brotherhood as its namesake (or brand), rather than an embodied ideal to strive for. Even as a young child, I appreciated the feeling that came over me as I recognized titles on screen that weren't rigid and streamlined. Like in Philadelphia, these were deliberate, yet imperfect artistic choices. Handmade, preserving all their flaws. Their inclusion almost seemed like a clever trick, as if each card was an intruder, too sloppy for the big screen. Yet every time I'd come across this artist's work, whether I knew it or not, he evoked notes that I still can't describe. Going back through his resume, it's illuminating to realize his craft framed some of my favorite films as a child, my most formative to how I approach titles today: Dr. Strangelove, Harold and Maude, Men in Black & The Addams Family. 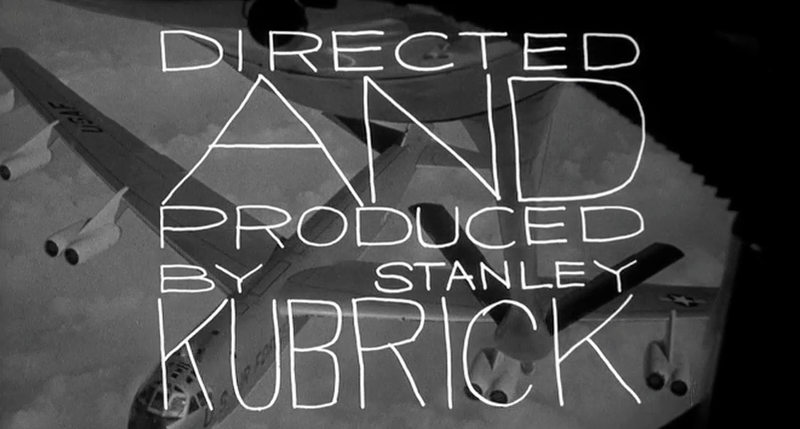 One of Pablo Ferro's most iconic works, his diabolically romantic opening titles for Stanley Kubrick's Dr. Strangelove, or: How I Learned to Stop Worrying and Love the Bomb. I'm speaking of the great Pablo Ferro, whose unmistakable style is still as bold and fresh as it was right off the page in the mid-60s. As I've learned, in creating my own handmade titles for my upcoming film, this approach takes time and a great deal of patience, much like re-fueling a B-52 in midair. Starting with a ruler, paper and some technical pens, I've reconnected with that childlike fascination of the bond between the hand and the page, an artistic choice that is imprinted with as much care as setting up a shot or smoothing out a piece of audio. Every bit counts. My latest film incorporates a new miniature set, a recording studio, which I'm realizing seems to borrow (in spirit) from the color palette of Stanley Kubrick's creepy red bathroom in The Shining. 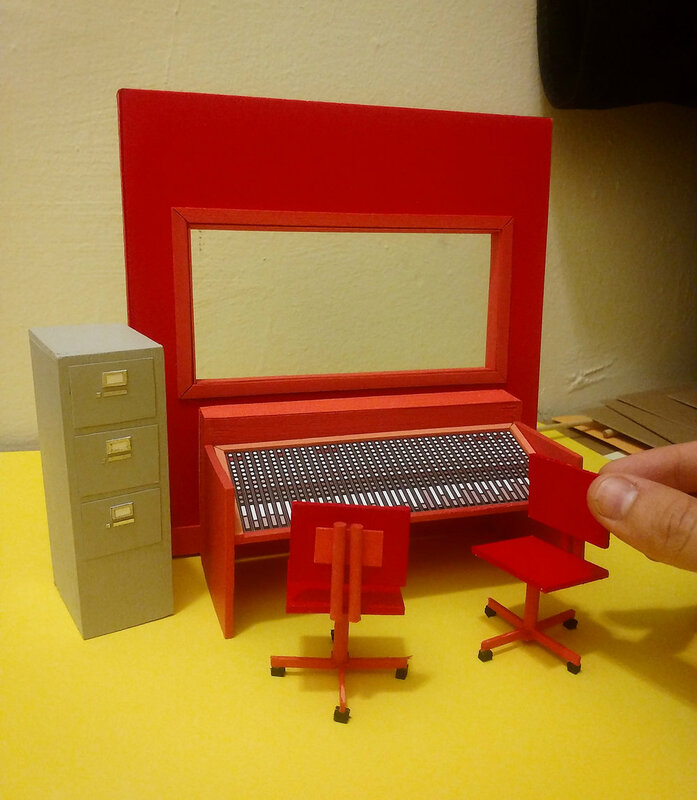 Eagle-eyed fans of The Duel may notice the grey file cabinet from its hospital scene, which will be repurposed for this new work with a coat of flamingo paint. Stay tuned for more mini updates as this room comes together! Laying out the front & backs of the two chairs. Fingertips starting to accumulate flecks of red paint as its second skin. The square wheels on these chairs do not go 'round and 'round. 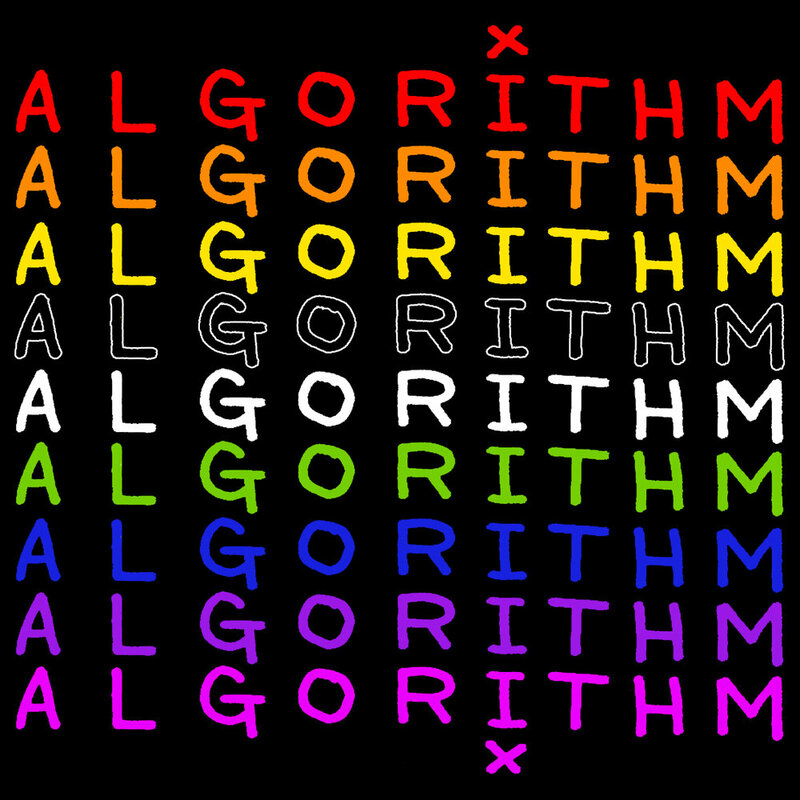 What a stimulating challenge to design a film poster for another filmmaker's vision! Many thanks to directors Wenting Deng Fisher & Luke Fisher for their guidance and faith in my abilities. The sumptuously shot and heartbreaking short, Empty Skies, coming soon! Not falling asleep by your usual bedtime is a bit like missing your bus home when it's really late at night. All you can do is wait until you're tired again. By that time, opportunities for sleep (much like the buses) only come about an hour or so apart. That is, if they're still running at all. So you just have to lie there and wait until the feeling takes you again. Perhaps you try to busy your mind, tricking it into thinking it's more tired than it really is: "Draw some feathers," you command. "Now open Photoshop." And you do. And still, you wait. Because you already missed your bus.